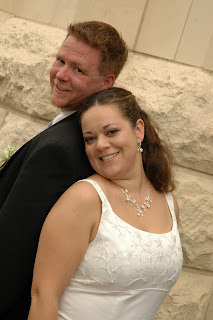 After trusting my future to the Lord, my DH and I met on EHarmony in August 2005. 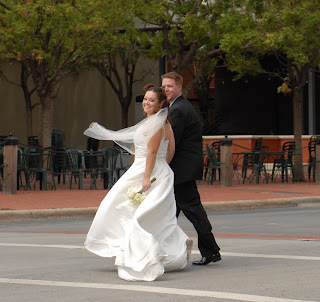 We dated and got to know each other for 1 year before we got married. 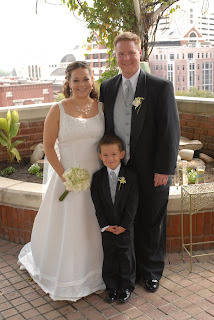 We got married on September 23, 2006 in a beautiful ceremony with about 75 of our closest friends and family. It rained but they say that is good luck. I have a wonderful son from a previous marriage. 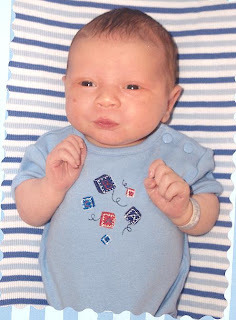 He was born by C-section because of failure to dilate after 12 hours of labor with Pitocin. When he was 9 months old, I became a single mom. Because of this we have an incredible bond with each other. 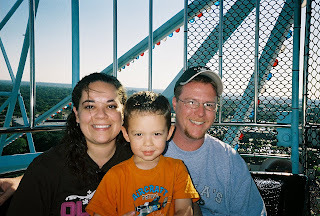 He is now almost 6 years old and going to Kindergarten!! Aaaa, I can't believe where the time has gone. He is into Science, Art, Swimming, and is so excited about the girls getting here! Have patience with me. I am figuring this out as I go.